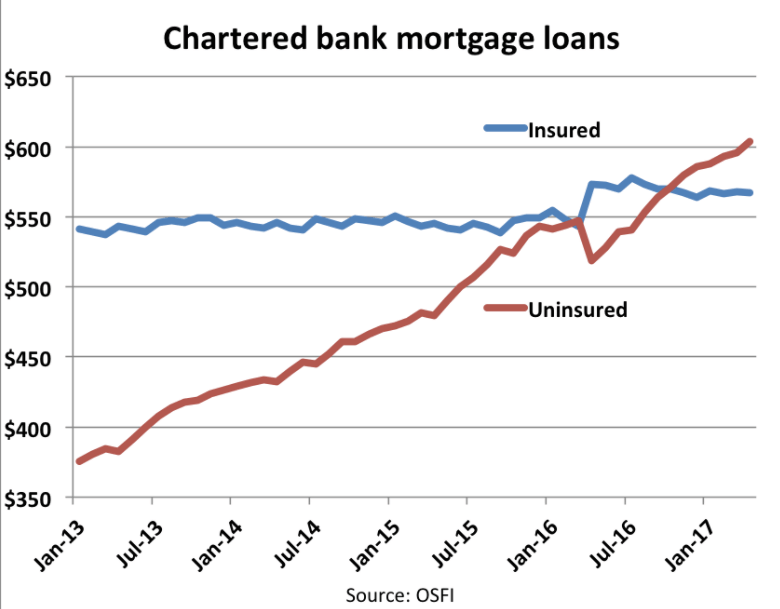 In a potential landslide move, OSFI (Office of the Superintendent of Financial Institutions) released draft changes to the Residential Mortgage Underwriting Practices and Procedures, which included a stress test for uninsured mortgages & a ban on bundled mortgages. Expressly prohibiting co-lending arrangements that are designed, or appear to be designed to circumvent regulatory requirements. It means all mortgages including those which have a down payment with 20% or more will be required to pass a stress test. The stress test would likely include an additional 2% rate on top of the borrowers proposed mortgage rate. This means borrowers will likely qualify for less. Further, the proposed ban on bundled mortgages targets mortgage providers teaming up with unregulated rivals to circumvent rules limiting how much they can lend against a property. This will hurt alternative lenders like Equitable Group where 10% of the company’s new mortgage originations involved co-lending arrangements. The number of uninsured mortgages surged after October, 2016 when the Government introduced a stress targeting insured mortgages (less than 20%). Borrowers and lenders then got creative to avoid the stress test, bundling loans from different sources to get the borrowers down payment up to 20% and thus avoiding the stress test of 4.64%. According to Rate Spy, variable and 1 to 4 year fixed terms are routinely stress tested already, but not uninsured 5yr terms. That’s where OSFI is focused. Although there will be strong push back from the mortgage industry, it’s expected the new policies will be implemented.